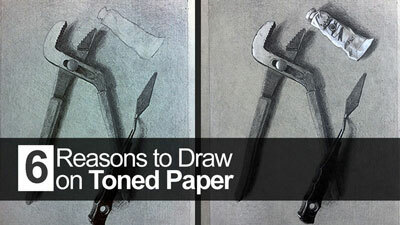 The subjects we choose to depict in our art often contribute to the success or failure of the piece. Sometimes we put so much emphasis on our subject that it can even hinder getting started. We want every work that we create to be exciting so it’s natural to think that our subjects must be exciting too. But even subjects that some consider “boring” can be made exciting. It’s all about how we approach the subject and how we use a few elements and principles of art to make them more interesting. I must admit that the act of drawing in itself is exciting to me and, from my perspective, any subject is worth drawing. 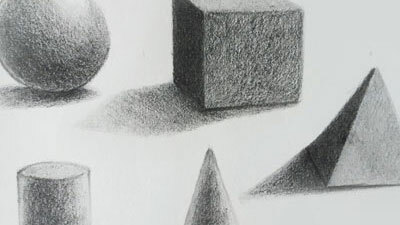 In fact, I like drawing hammers, screws, pencils, and other types of tools. I know these objects are not inherently exciting to look at but they are fun to draw. It is my job as an artist to make them fun to look at. What Makes A Subject Boring? If beauty is in the eye of the beholder than “boringness” is in the other eye. What excites me, another will surely find boring. Having said that, let us still attempt to establish a set of characteristics that are, in fact, boring – or less interesting to most. 1. Lack of color – Some colorless things are interesting to look at. For example, a zebra is visually attractive because of the high contrast pattern that defines it. Even so, I feel safe saying that a colorless subject is more boring that a colorful subject. Think parrot vs. crow. 2. 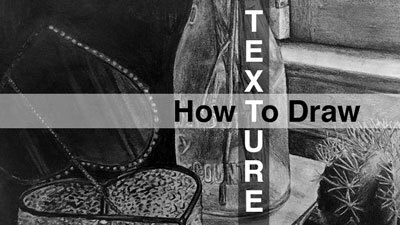 Orientation – A subject defined by vertical and horizontal contours creates a sense of rigidity in our artwork. Diagonals and curves are comparatively more dynamic. 3. Symmetry – This one is touchy. Many artists love and use symmetry in their artwork. I’m not talking about composition but rather, shape. The development of figure sculpture throughout ancient times demonstrates a gradual shift away from a rigid vertical orientation and symmetry. 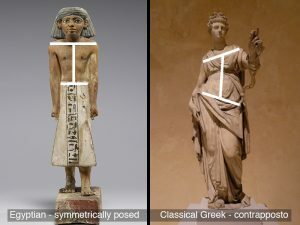 Below, the sculpture on the left that stands at attention (a symmetric pose) is less exciting than the sculpture on the right represented in contrapposto (less symmetrical). 4. Familiarity – Common place, every day subject matter is boring. It’s like watching a movie for the fifth time, it is no longer compelling. 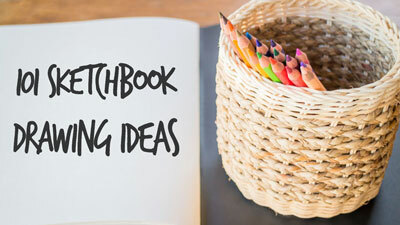 But even subjects that some may categorize as “boring” can be made “exciting” with a few strategies. 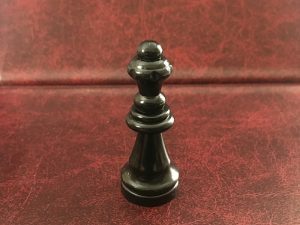 For this article, I chose to use a chess piece as my boring subject matter. If you happen to play and enjoy chess, you may not find my selection boring because of what it represents to you. 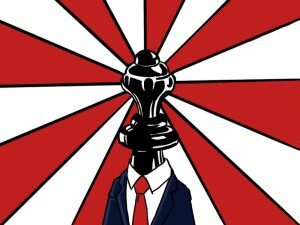 However, a chess piece does meets the criteria listed above: colorless, symmetric, vertically oriented and familiar. I’m sure there are more than six ways of adding interest and excitement to a boring subject with even undiscovered means of doing so. In my effort to illustrate each of these ways I was not able to entirely divorce one from another. Therefore, you will observe some overlap in the following examples. But we should take note that when these mehtods are combined, the result is even stronger. Some subject matter we see from a specific point-of-view. We usually see sky scrapers from below. We see people at eye-level. We look down on chess pieces. So, drawing a skyscraper from above or a chess piece from below creates a new, unfamiliar experience. It is exciting to see something familiar in a new way. 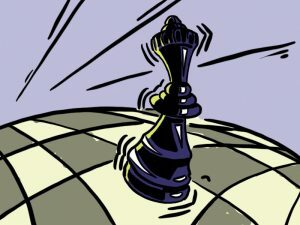 Chess pieces are small and the example illustration below uses a low angle to make the chess piece seem large. If this illustration were meant for a wall and not a computer screen I would make the dimensions of the artwork huge, to further convey a sense of mass and size. Depicting imagery larger than life makes it exciting. If an otherwise boring subject is part of a compelling story then it is no longer boring. Take the well known story by Lewis Carol, Alice In Wonderland. That story has any number of boring objects to showcase. A broken tea cup, illustrated, could represent the shattered mind of the Mad Hatter. The tea cup is made interesting by the story it represents. My example illustration below doesn’t have a developed story behind it. 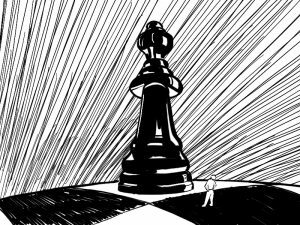 Instead, I used the unbalanced relationship between a pawn and a queen to create the drama of a story. Throughout the history of art, a few artists have made a name for themselves by representing their subject in an entirely unique and unexpected way. 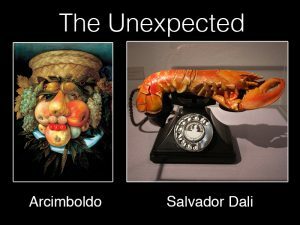 One such artist was Archimboldo, an Italian portrait artist that took portrait painting in a new direction. A few hundred years later the Spanish artist, Salvador Dali, used Surrealism to coax excitement from otherwise boring subject matter. 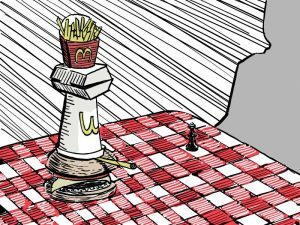 In my example I’ve used fast food to reconstruct my chess piece in a similar fashion to Arcimboldo’s portraits. In the example illustration below I thought about the propaganda posters featuring twentieth century dictators. Nothing says excitement like propaganda. Great color application can make any subject more exciting to look at. Matching the natural color of your subject is not the only option. 1. Saturation level – Pump up the color, especially in the neutrals. If you observe brown or gray in your subject, then try and see a color in that neutral. Force yourself to name a color from the color wheel that you can see. Some grays lean toward green or even purple. If you can name the “color” of your neutrals then you make them less neutral. “Colorful” neutrals are exciting. 2. Color Schemes. – Some colors have a special relationships. These relationships are categorized as color schemes. The brightest, most exciting color scheme is named complementary. Complementary schemes use colors that are directly across from one another on the color wheel. These pairs of colors are as different as black and white. Like black and white, they help one another stand out, adding excitement. I chose the complementary pair, purple and yellow, to add excitement to my monotone chess piece. Feel free to use colors schemes even if the colors are not a part of your subject. I have stylized most of my example drawings. Stylization takes the first step toward abstraction by depicting imagery in a recognizable but non-realistic way. I chose to stylize my drawings by using curved lines in place of straight lines. 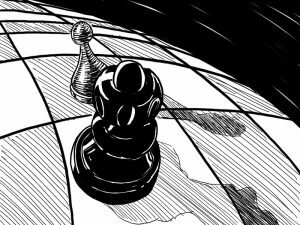 I also curved the gesture of my chess piece in the illustration above. Embrace your own personal style and let it be a part of your drawings and paintings. Challenge yourself. 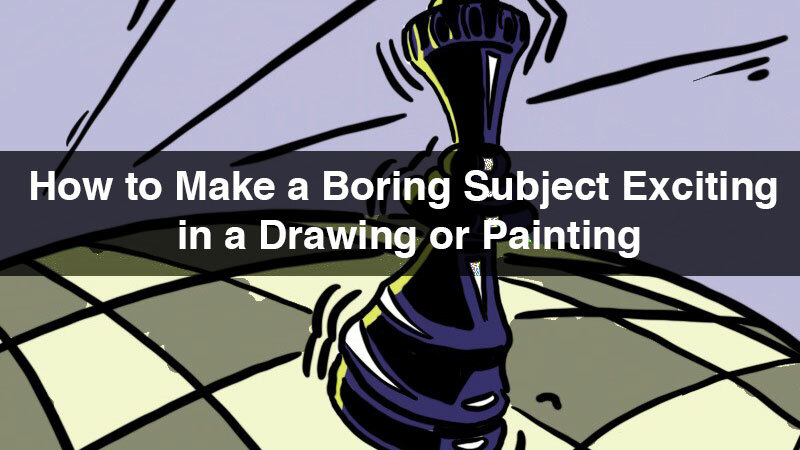 Pick a boring subject and see how many exciting ways you can draw it! Then, when you need to make a boring subject exciting, you’ll be ready.